Allied Vision exhibited on its third consecutive year at NEPCON Thailand 2018 at Bangkok International Trade & Exhibition Centre (BITEC), hall 98/Booth #8C49. 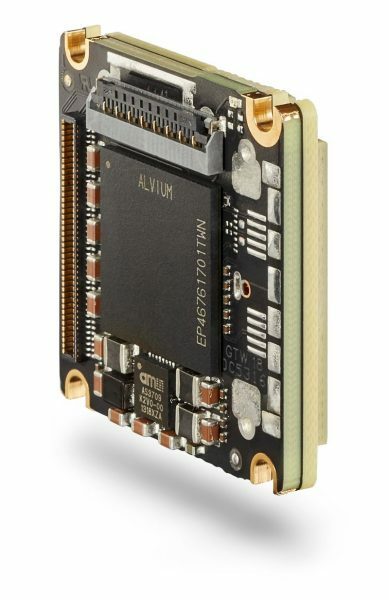 The Allied Vision 1 product line is a camera platform which combines the performance of a machine vision camera and the size, power consumption and price of an embedded camera module. The 1 product line is a full range of digital cameras designed for embedded vision applications while fulfilling the high standards of industrial and scientific image processing. The first camera families powered by ALVIUM® technology based on this platform are the 130 and 140 series. Both camera series are be available with MIPI CSI-2 and USB3 Vision interface and a wide range of sensors. Allied Vision’s booth has showcased a series of demos featuring the Allied Vision 1 product line. The demos consisted of a program on Video4Linux2 (V4L2), OpenCV running on Nitrogen_6Max. Set at 15 fps, Allied Vision 130 C will be using real time algorithm to detect faces from live image. Using Mako G-131B and Mako G-507B to inspect the parts in PCI board for defect, this demo has showcased how vision systems can be implemented in defect inspection application. Mako, ultra compact affordable camera, offers simple plug and play integration into standard image processing systems. Mako cameras are equipped with the latest high-quality CMOS sensors to support the realization of future-oriented applications. Manta is Allied Vision’s most versatile GigE Vision camera series. Numerous modular options, including angled head and board level versions, facilitate the camera integration in almost any application. The robot arm sorting inspection demo showcased sorting and grouping electronic parts application featuring Manta G-505B. The advanced feature set of the Manta simplifies the setup of multi-camera applications and enables to reduce the overall cabling efforts and costs. Beyond these demos, Allied Vision showcased its wide range of machine vision cameras for industrial inspection. Visitors were able to take the opportunity to discover the latest products and discuss their own inspection tasks with experts from Allied Vision and its Thai partner, Dynatech Instrument.